Untuk birthday kakaknya yg comel..
2 tier choc cake with Stripes..peonies flower, button flower and ribbon. Delivered to Puchong Permai. 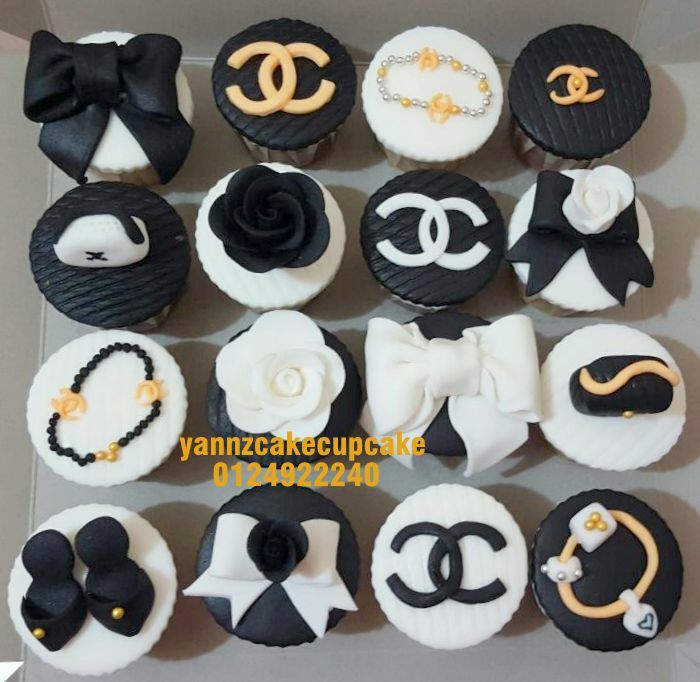 Chanel and other big brand theme for Wany Birthday celebration. 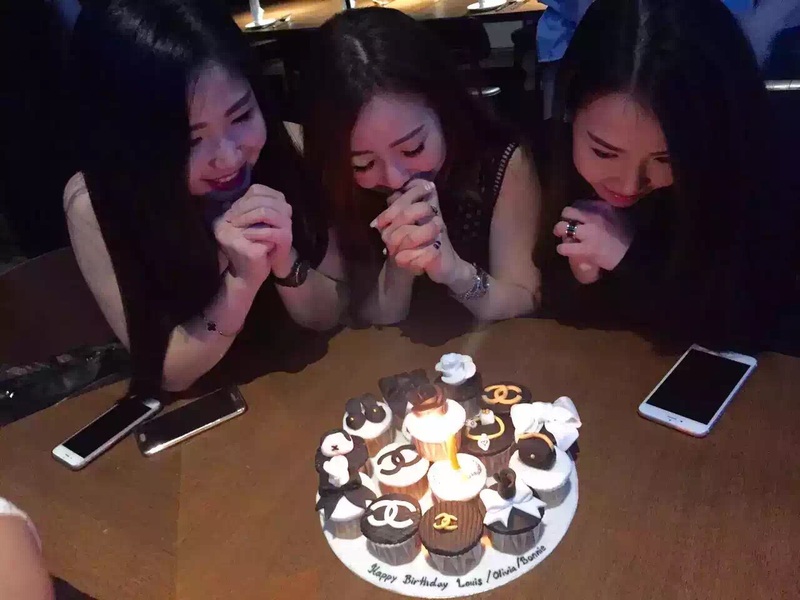 Cake is actually gift box with chanel logo surround the cake and on top we have all girls accessories from handbag, parfum and for sure ribbon in black to match the theme. Delivered to Tamarind Spring, Taman TAR KL. 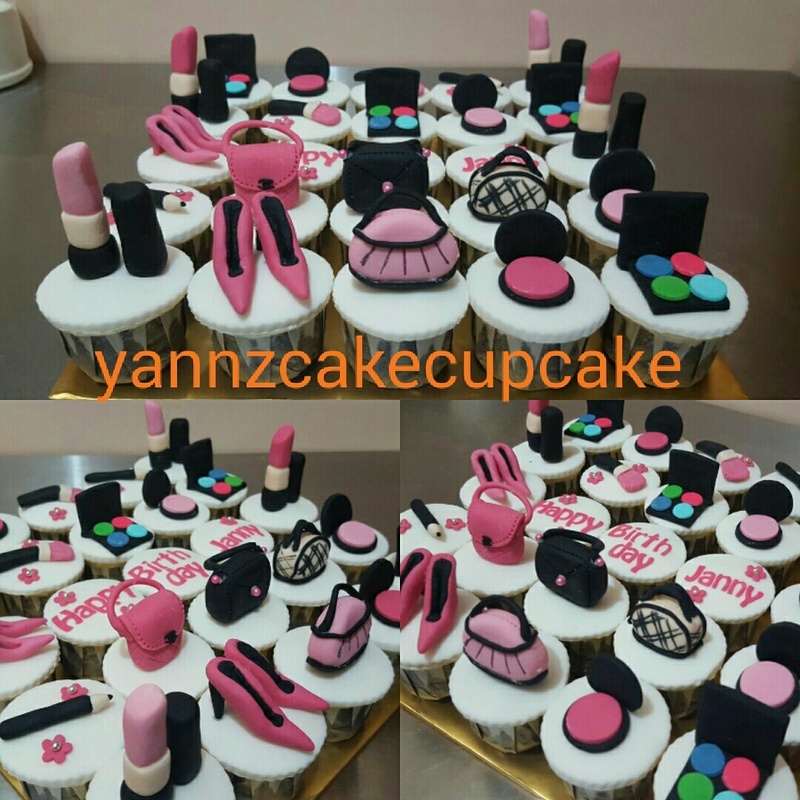 Girl accessories theme cupcakes for Ms Stephanie.